Escape the city and feel right at home in your local craft beer bar. 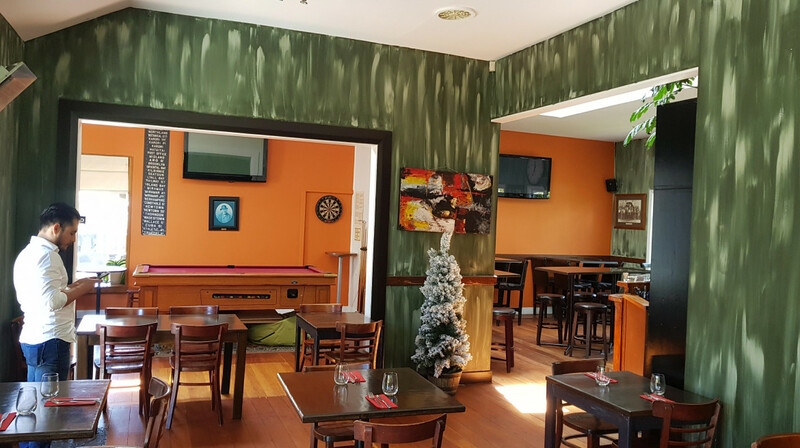 With outstanding food, a great selection of drinks and live music the Kelburn Village Pub is your go-to for after work drinks and eats. The sunny courtyard looks out onto hills sprinkled with cabbage trees and cottages. 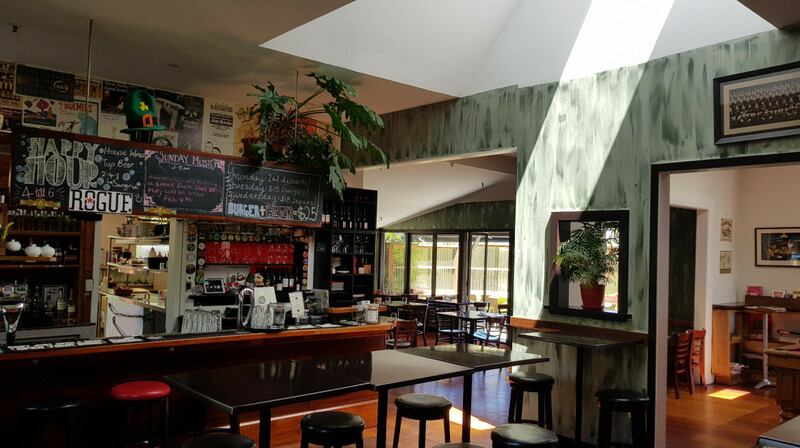 Inside is as welcoming and as cosy as your own living room, but with a much better selection of food and craft beer. There’s eight craft beers on tap and even more bottled, with local brews offered weekly. On the menu, there’s original tapas, mains and desserts created with an emphasis on flavour and quality. Stick around for some local live music. The Kelburn Village Pub’s Sunday Sessions are world famous in Wellington! Had a booking for 5.30pm. Service was great, food arrived promptly. I had a steak sandwich. My husband had pork belly. We had sides of polenta chips, green beans, and edamame beans. Delicious. would go again. Lovely meal, in a lovely pub! Definitely would consider returning. A very relaxing meal in nice surroundings with good wine and food. Lovely place to have dinner. Great food, reasonable prices, excellent service and great selection of wine. This pub is really buzzing on a Friday so don't expect a quiet intimate dinner. Parking can also be a little tricky so allow plenty of time to find a park. 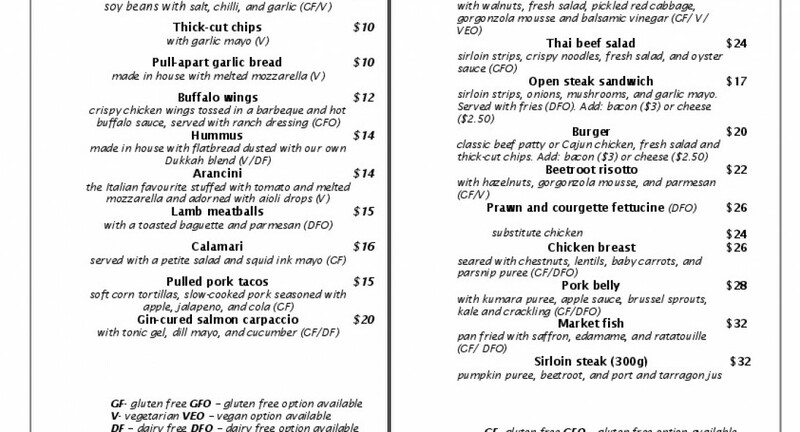 However once you are seated with a menu in hand, things get infinitely better. The truffle marscapone is to die for. I am told the chef is Italian. If true, this is reflected in the menu, with the fettucine and the mediterranean beef salad (both delizioso) and the hazelnut pannacotta (divino) as well as that marscapone on ciabatta which was, for me, the highlight of the evening. Molto bello! Excellent service and tasty food made for a great meal out with our family of 4, including kids. Menu is limited but food was great. Happy to see a kids menu with good options. Happy to find they have a kids menu. Excellent place to relax on a sunny day. Lovely restful place with all the amenities. Great service and the food is very good. Amazing night. The staff were lovely and very funny. The food was incredible. Overall a great experience. First time using First Table. Lovely meal at Kelburn Village Pub and great friendly and helpful waitress. Very pleasant night. Four for three course meal and drinks. Enjoyed the ambience and the service was great. We were very pleasantly surprised with our visit to this venue. The food was delicious and presented well. Exceeded our expectations in every respect. Thanks for the great night. Wine selection was great too. Top marks. An enjoyable and tasty meal. Service was prompt and staff were friendly. Lively atmosphere, great table service, food was great except for the chicken burger (tiny piece of chicken, not much else inside and way too much tomato sauce). Wished I had gone for the beef burger like the rest of my table which they loved. Calamari was also much enjoyed. It was cosy little pub with great food and great service. Really enjoyed our dinner. Four of us had dinner here on a busy Friday night. Service was perfect - warm, friendly and attentive. Delicious food, presented well. Good portion sizes. My fish main was colourful and tasty, fish cooked perfectly. Definitely going back. We really enjoyed our meal, which was better than your average pub food. Delicious fries and mayo, yummy garlic bread, perfectly cooked steak, tasty pork belly and a juicy burger. Good service, too. We had a very nice meal at this restaurant...the menu was varied and the service was very timely for our concert booking pressure. Super cosy inside and the food was delicious. The lavender Panna Cotta is divine! The food was of a very high standard. We had a table for 4 and everything we ordered from the starters to the mains was superb. The presentation of the food was also well done. Would definitely go again and will tell friends and family as well. Lovely pub with a good atmosphere and very enjoyable meal. What a great pub! Really enjoyed the atmosphere and food! Exceptional service! Will def be back and recommend on! Best pub food I’ve ever had, will definitely return. We shared a couple of entree’s- fish tacos & quesadillas, the flavours were delicious. I had the Fish for main & it was cooked to perfection and generous size, to finish I had the tiramisu, which was just like the ones you get at an Italian restaurant, perfect, and our waiter was friendly & professional - will be back. Service was friendly and great, and food was delicious. What more is there to say? Really tasty meal, steak was excellent. 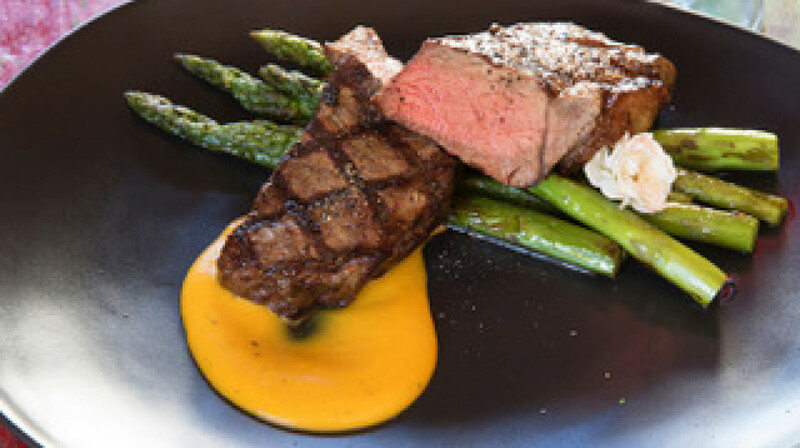 Excellently cooked meals, including a delicious steak, tasty salads, a rich and satisfying dessert, along with welcoming service. An excellent evening out. WOW ! I think I have found my favourite dish I have ever eaten. Queso Fundido. It looks like a Shepherd's Pie but is made of chorizo and cheese/beschemal. utterly devine! The service was great, what a lovely waiter, so personable and friendly. The KVP is such a delightful place. Cosy in winter when it's raining outside, and great in summer when you can use the quaint outside seating. Great service and the portions were generous! Nice atmosphere - a good cross between a pubby pub and a relaxed bistro. Would definitely return. We thoroughly enjoyed our meals which are a cut above regular pub fare, and the service was friendly and efficient. Awesome experience! Very well set up pub with great vibes, great service and epic food!! There's even a pool table If you get bored of your company! We had the scotch fillet (which was incredible) and the special venison burger, and the quesidillias as an entree - all of which we highly recommend. Great portion sizes and very affordable pricing - we will definitely be back! It was our first time and we took our young kids. Service was excellent, food great (and surprisingly not your usual pub grub from the tapas menu), desserts were fantastic...it will definitely become our local haunt! Really exceeded our expectations. For a 'pub meal' it was damn yummy and whatever they sprinkle of their chips made them some of the best tastiest chips we have had. The staff were also lovely. 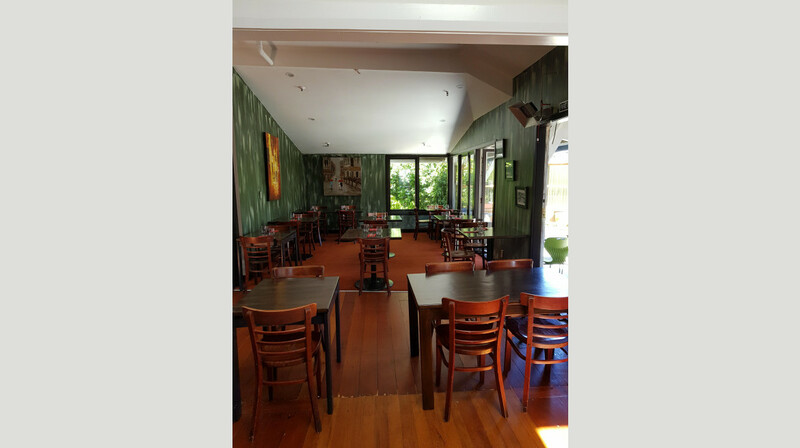 The food and the staff were fantastic, we had a really enjoyable experience. The waitress was very helpful, her knowledge of the wine list allowed me to select a wine that was perfect for me. We had the tuna & braised pork, they were generous portions, beautifully presented and delicious! I also had the dark chocolate semi-freddo, a perfect dessert to finish the meal. Thank you, we will be back! The place was pretty noisy and crowded, but it was a Friday evening. Service was pretty slow and messed up a few things. Food was decent. Really impressed with our dinner on Tuesday night. The man who looked after us gave fantastic service that went beyond and we really enjoyed our food. Loved it first time there and we will be back soon.